The time has come to start getting serious about the packing and today is medical. After a bit of reading and trawling trough discussion forums I have decided to go for a safe, comprehensive, but not silly complement of stuff. I started with getting the very conveniently priced (£19.99 on eBay) CarePlus® First Aid Kit Waterproof. What got me interested in it, other than the price, was the waterproofing. Reading about cycling trough equatorial countries it turns out that panniers, even when waterproof, will be tested to their limit by roads with knee deep puddles. The medical kit is perhaps one that might benefit from double protection. Second thing is that it’s small (10x6x17 cm) and light (217 gr). Additionally I thought that the generous complement of stuff provided in it might be split in two parts and used in successive stages of the trip while at the same time leaving space for additional components that I feel I ought to add. The other area to be considered is immunisation. The NHS is one of the best things the UK has to show for and the Fit For Travel site is the natural starting point, traveling to Africa to start with I’ll probably encounter the bulk of the hazards I’m likely to face in the whole trip. Looking through the advice by country and distilling the list gets me with a pretty comprehensive menu to take to the GP for further advice. And then there is Malaria. Looks like to me this is the one that will keep me busier during the traveling. As I’m going to spend quite some time in most of the world infested areas it stands to reason that I might not get out of this without getting it. That said there is no hurry and all I can do to delay this “inevitable” is going to be a plus. Looks like covering up is de-rigour from dusk to dawn, this in itself will also help with not conflicting with the local customs in most places, it might however fly in the face of cooling down after a day’s ride [tricky]. Rubbing insect repellant on both body and cloths will have to become second nature too. 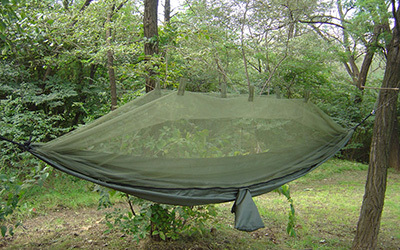 Mosquito net is essential and I’m going to tackle with both a standalone and built into the Hammock. Hammock sleeping is less fussy and preferable but you cannot always guarantee to find anchorage and therefore it pays to be prepared. Preparations available: Lariam® (Roche). Adult dose is 250mg week. One dose should be taken a week before departure and it should be continued throughout exposure and for 4 weeks afterwards, however three (3) doses at weekly intervals prior to departure are advised if the drug has not been used before – this can detect in advance those likely to get side effects so that an alternative can be prescribed. Take your tablets with food and plenty of water at the same time on the same day each week. It is very important to complete the course. Licensed for one year’s continuous use in the UK but there is no evidence that use for periods of up to 3 years carries any greater risk of side effects. Mefloquine is unsuitable for those who have a history of severe liver disease, depression, generalized anxiety disorder, psychosis, schizophrenia, suicide attempts, suicidal thoughts, self-endangering behaviour or any other psychiatric disorder, epilepsy or convulsions. Those with kidney disease or a heart condition should be assessed carefully before taking this medication. Side effects may include: nausea, diarrhoea, dizziness, abdominal pain, rashes, pruritus, headache, dizziness, convulsions, sleep disturbances (insomnia, vivid dreams) and psychotic reactions such as depression. Although there is no evidence to suggest that mefloquine has caused harm to the foetus it should normally be avoided during the first trimester of pregnancy or if pregnancy is considered possible within 3 months of stopping prophylaxis. Preparations available: Doxycycline (non-proprietary), Vibramycin® (Invicta). Adult dose is 100mg daily. One or two doses should be taken before departure. It should be continued throughout exposure and for 4 weeks afterwards. It is very important to complete the course. Take your tablets with food and at the same time each day. If you miss a dose, take one as soon as you remember then carry on as before (you may have to get more tablets). Never take two doses at the same time. Heartburn is common if capsules release their contents into the gullet so they should be taken with a full glass of water and preferably while standing upright and not just before going to lie down in bed. No guidance is given by the manufacturers on prolonged usage for malaria prevention but has been used for periods of up to 2 years for acne without an increased risk of side effects. Interactions with other drugs: check with your doctor if you are taking regular indigestion remedies, iron or zinc tablets, retinoids (for psoriasis) or cyclosporine. It must be remembered that anti-epileptic drugs (phenytoin, barbiturates and carbamazapine) may reduce the efficacy of the doxycycline. Side effects may include: anorexia, nausea, diarrhoea, thrush, sore tongue (glossitis), headaches, blurred vision or tinnitus. Erythema (sun burn) due to sunlight photosensitivity; sunscreens are important and if severe alternative antimalarials should be used. Pregnancy: Contraindicated in pregnancy (including for one week after completing the course), breast feeding, in those with systemic lupus erythematosus, porphyria and children under 12 years because permanent tooth discolouration and/or delayed bone development can occur. Based on other long distance cyclist experience [to be validated by a conversation with the GP] I lean towards the Doxycycline. While not as practical I’d rather not end up in an asylum and, given the antibiotic nature, it might give some additional protection against the abundant bacterial ensemble I will undoubtedly come in contact with. Finally, as already mentioned in the first aid kit section there will be the need for a whole lot of bite alleviation tools as it will be impossible not to be bitten at all.